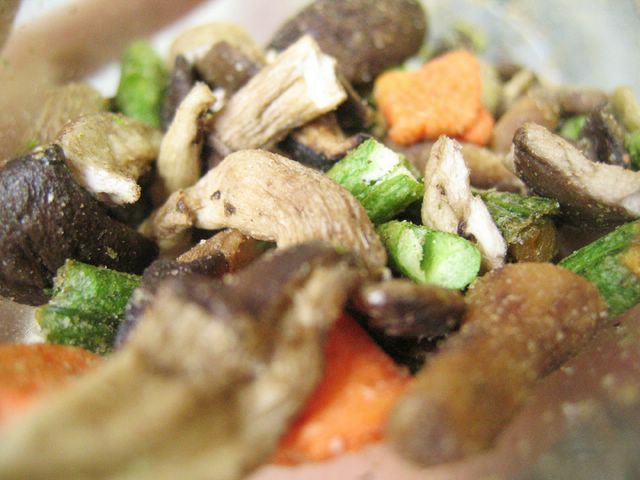 thebakerwhocooks.net | Mushroom and Veggie Chips?! I’m not sure if you guys can tell what’s there in that photo above. Doesn’t it look very much like greens and mushrooms? Well that’s what they are but these are in a different league of their own! I don’t think these are fried, but it seemed like they dried it until it’s all crisp and crunchy. Rather intriguing but very very salty. So I guess, it doesn’t make it all the more healthier anyway. It just helps with the consolation part. 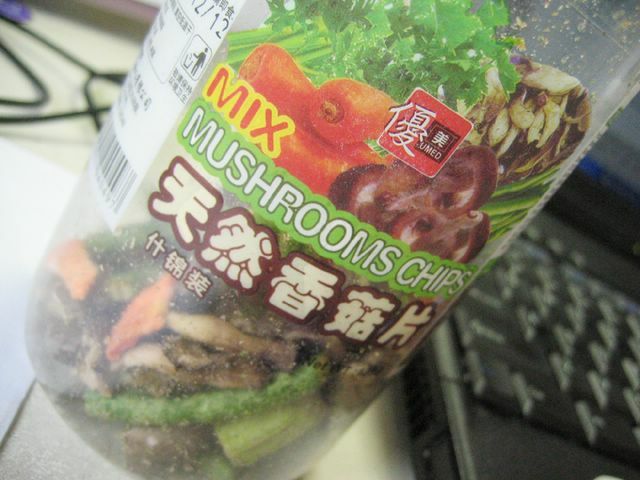 I’d take fresh vegetables and mushrooms anyday! I love to eat those chips! There’s this brand sold at the basement of CK Tangs at the fruit and vege stall. I usually avoid the yam strips though, they leave this stinging aftertaste in my mouth. Dont worry about your obsession with Anthony Bourdain. Here I am a mother of two desperately and hopelessly in love with him. So you’re not alone. docile: ya i think i’ve walked past that place a couple of times… i’ve tried the apple one before. it’s nice too! flower: haha… did you read the Life Section of ST today? (thurs, 30 mar). i’m sure you did. i pored over the interview article and wished i was the journalist interviewing him instead! oh and he’s no longer married… but he has an italian girlfriend.. HAHA.